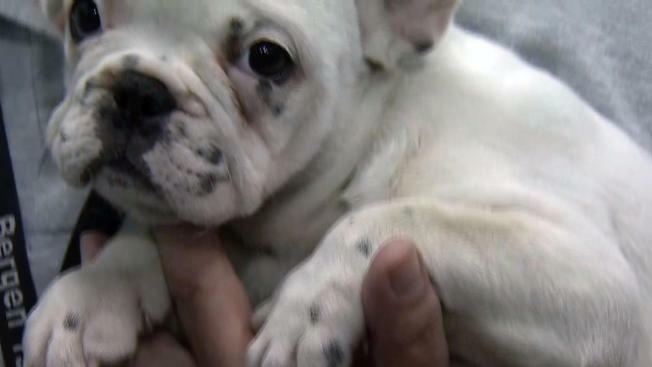 More than two dozen English bulldog puppies were rescued from a hot van where they had been stuffed into two cramped crates, animal rescue workers say. The 26 dogs were discovered in a van parked near a Wal-Mart in Garfield, said Debrah Yankow, director of the Bergen County Aminal Shelter and Adoption Center. The puppies were stuffed into two crates, she said. The drivers of the van had left the dogs alone and returned about 45 minutes later, when animal welfare workers were rescuing the pups, she said. 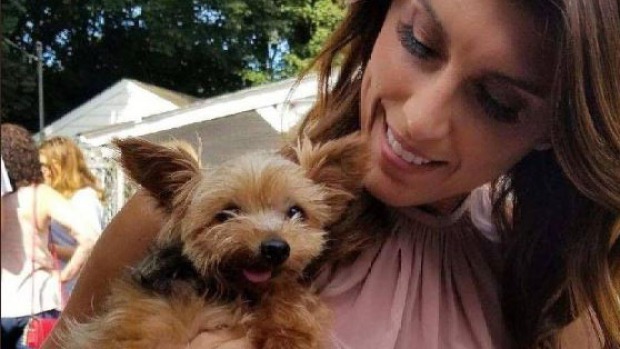 The dogs were put in an air conditioned van and given water, then brought to the Bergen County Aminal Shelter and Adoption Center, Yankow said. Yankow said she believes the dogs were from a puppy mill and were being transported to a pet store in another state without documentation. She said that animal welfare workers will have to go to court to get custody of the dogs before they can be adopted. "My best hope is that they can settle this in a timely manner so we can find these puppies homes as quickly as possible," Yankow told NBC 4 New York. The puppies were discovered the same day that nearly 4,000 animals were adopted across the tri-state area as part of NBC 4 New York and Telemundo 47's Clear the Shelters event.